Installing a smart thermostat in your home is a simple and effective way to not only make your heating system easier to control (even when you’re not at home), but also to give you greater visibility of the amount of energy you’re using. Armed with both knowledge and control it’s easy to reduce your energy bills and reduce your home’s carbon footprint. There are more smart thermostats on the market than ever before including systems with the latest in heating technology and more affordable solutions. Scheduling, automation, remote control and improved levels of comfort are just a button away. You’ll need to look at the features and benefits of each to work out which is the right choice for your home. Which Type of Thermostat Do You Need? Whole Home or Zoned (multi-room)? A key consideration is whether you want / need your heating to be at different temperatures in different rooms. For example, you may prefer a cooler bedroom than bathroom or lounge. Some thermostats give you this functionality via smart radiator valves which mean your thermostat can be adjusted on a room by room basis rather than a one-temperature-fits-all solution. This is obviously the more flexible option, but they tend to be more costly to install and many people may prefer the simplicity of a whole home thermostat. If you’ve already introduced smart devices into your home such as a Google Home, Siri or Amazon Alexa, you may want to ensure your new thermostat is compatible. This could enable you to adjust your heating by simply speaking to your smart home assistant. Also, consider how the thermostat needs to be connected to the internet i.e. via a Wi-Fi or via an ethernet cable as this could influence your final choice. The IFTTT integration is another factor to consider. IFTTT stands for “If This Then That” and enables you to create rules or commands such as, “If I leave the house, turn the heating off”. It means many thermostats can be set to respond to your actions intuitively rather than needing to programme a heating schedule. This technology also means you can include smart appliances such as security cameras or lights in your automated home system. Most manufacturers strongly advise that a professional install your thermostat for you. This ensures that the work is carried out to a high standard and should deliver the best level of accuracy and efficiency. This is a particularly good idea if you don’t have a thermostat at all at the moment. However, if you are replacing an existing thermostat, the task is a little simpler and you may be able to complete the installation yourself. For this reason some manufacturers offer a self-installation option (with step-by-step instructions) which is usually cheaper. A basic knowledge of electrical wiring is essential for this option. 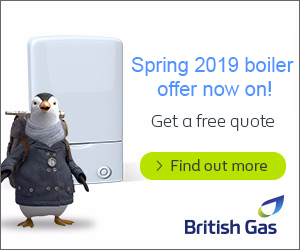 It’s also worth noting that some boiler warranties may be invalidated if work is carried out on your heating system by anyone other than a qualified engineer. *All prices are without professional installation and do not include any additional radiator controls needed. The Nest’s main USP is its ability to learn your heating routine automatically which could mean you never need to manually adjust your heating again. It will also adjust itself to compensate for weather and the unique quirks of your home. If you want your heating at 20 degrees by the time your alarm goes at 7am, the Nest will learn how long it takes to heat your home to this temperature and will automatically turn itself on in time to do so. Nest will sense when you’re away from home and switch off your heating to prevent unnecessary energy use and turn itself on again when you’re home. The Nest is designed to suit just about any home’s decor with a sleek, contemporary design. The 3rd Generation model also includes the Farsight feature which will automatically activate the Nest’s digital display when you enter the room. It can be set to display either the temperature, the time or the weather. Made by Google, Nest has an excellent IFTTT channel and can integrate seamlessly with a wide variety of other home automation products such as any Works with Nest device, Philips Hue lights or Amazon Alexa. However, a possible drawback of the Nest is that it can’t be set up to heat more than one zone as Nest don’t offer smart radiator valves, so your whole home will be the same temperature. It can control your hot water as well as your heating, but whether this is possible or not will be dependant on the set up of your plumbing i.e. it will need to be dual zone. The Honeywell evohome is a popular choice for homeowners who want different temperatures in different rooms. It can be used as a straightforward touchscreen smart thermostat, but when you also purchase the smart TRVs (thermostatic radiator valves) you can control each radiator separately. If your budget allows you could install every radiator with a TRV and heat every room individually. Or of course you could start with just the thermostat and add TRVs further down the line. In addition, the app not only gives you a clear view of each zone but also enables you to adjust the temperature of each. Because of the complex technology involved in a Honeywell system, it is a pricier option than some other brands. 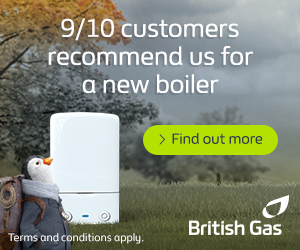 Once you’ve purchased the thermostat for around £249.99, each TRV will cost an additional £59 on top. It isn’t able to detect when you’re at home or away but you can still control your heating when you’re away via the app (Android or iOS) as long as you have an internet connection. And, with the recent addition of IFTTT, you can set the thermostat to respond to other smart devices such as Amazon Alexa voice control. A key feature of the Tado Smart is the geofencing technology which detects when your smartphone leaves the home and will lower the heat automatically. It will also sense when you are approaching the home and automatically heat up so it is the right temperature when you arrive at the front door. Both customer and expert reviews agree that Tado’s geofencing is one of the most intuitive on the market. The Tado app is easy to use and enables you to set the temperature of your home hour by hour. It also displays easy to understand graphics relating to energy use to help you lower your bills. Tado have also introduced smart TRVs to enable you to heat your home room by room but they are not as highly developed as that of Honeywell evohome. The thermostat is compatible with Amazon Alexa, IFTTT and Apple HomeKit via a V3 internet bridge. To buy the Tado Smart without installation it will cost around £199 but it’s also possible to rent one for £7.99 a month if you don’t want to purchase outright. Hive Active Heating 2.0 (Hive2) is a wireless smart thermostat by British Gas and is an improved version from their original product. Unlike many of the other smart thermostats on the market it doesn’t have a touchscreen but has an LED display which you control with buttons or via the app. With geofencing technology included the thermostat can be programmed to automatically adjust the temperature of your heating depending on whether you’re at home or not. The Hive2 can control your hot water as well as your heating and, depending on your radiator set up, can support zone heating. You can programme the Hive2 to a holiday mode which will maintain a low temperature for an extended period of time. Hive2 now also includes IFTTT support which means the thermostat will integrate with other smart devices like Hive Active smart light bulbs and motion sensors. The Netatmo Smart Thermostat is one of the more affordable systems you can buy but it’s also one of the most flexible. With smart radiator valves you can control your heating on a room by room basis; the battery powered E Ink thermostat means you can carry control around with you, adjusting the temperature of the room you’re in at the touch of a button. The Netatmo app is very simple to use and the system can be controlled with either Amazon Alexa or Apple HomeKit. A possible drawback is the lack of geofencing or presence detection, but it has an IFTTT channel so you may can always programme your heating to switch on and off using this technology. Drayton Wiser offer a smart thermostat kit in either a 1-channel, 2-channel or 3-channels version which impacts how many heat sources you can control at one time. It’s a low cost option compared to some of the other brands on the market and also includes 2 smart radiator valves in the price. Additional TRVs cost £38 each which again is one of the more affordable ranges. One of the simpler options, the Drayton Wiser is easy to use and can be gradually expanded with additional TRVs later on. The system has an Away mode which you can manually activate when you’re leaving home, but it doesn’t have geolocation technology so this won’t happen automatically. There is, however, an Eco mode setting which will work with the unique thermal properties of your home to ensure your heating is never on unnecessarily.